Heeft u een vraag voor DDD Habitat Lodging House? Voor reizigers die komen voor de bezienswaardigheden van Basco, is DDD Habitat Lodging House een perfecte keuze. Het hotel ligt niet zo ver van het stadscentrum: de afstand is ongeveer 0.7 km en het duurt normaal ongeveer 5 minuten om het vliegveld te bereiken. Dankzij de praktische locatie liggen alle belangrijke trekpleisters in de buurt van het hotel. Profiteer van de ongeëvenaarde dienstverlening en voorzieningen in dit hotel in Basco. Terwijl u verblijft in deze geweldige accommodatie, geniet u van faciliteiten als gratis wi-fi in alle kamers, dagelijkse schoonmaak, wi-fi in openbare ruimtes, parkeerplaats, roomservice. Ervaar kamerfaciliteiten van hoge kwaliteit, inclusief draadloos internet (gratis), airconditioning, televisie, satelliet-/kabeltelevisie, douche, om tot rust te komen na een lange dag. Het hotel biedt geweldige recreatiemogelijkheden die uw verblijf onvergetelijk zullen maken, zoals tuin. Als u zoekt naar comfort en gemak in Basco, dan is het DDD Habitat Lodging House uw thuis ver weg van huis. 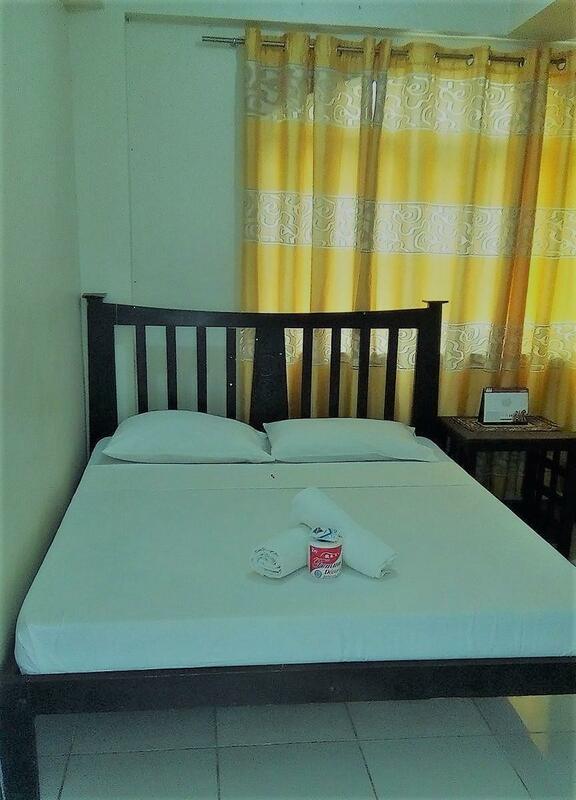 This lodge is a stone’s throw away from the airport and walking distance to good eats such as Beehan, Pension Ivatan, Casa Napoli. It is also close the INC house of Worship. They provide towels, soap, and tissue. We stayed in Sabtang Room at the 2nd floor. There is also hot/cold shower. They provide filtered water at the common area - hot and cold. There is also a fridge where you can keep some of your food. They allow you to borrow plate and utensils. You can also cook there for a fee. The only downside is the several steps you have to manage going up the lodge. Could be a challenge for the elderly. Other than that, this place is highly recommended. 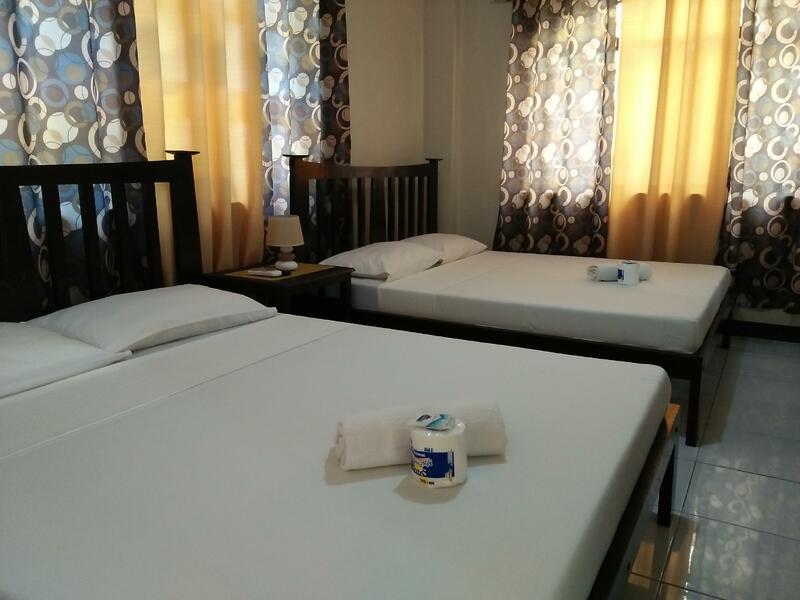 This lodge is a stone’s throw away from the airport and walking distance to good eats such as Beehan, Pension Ivatan, Casa Napoli. It is also close the INC house of Worship. They provide towels, soap, and tissue. We stayed in Sabtang Room at the 2nd floor. They provide filtered water at the common area - hot and cold. There is also a fridge where you can keep some of your food. They allow you to borrow plate and utensils. You can also cook there for a fee. The only downside is the several steps you have to manage going up the lodge. Could be a challenge for the elderly. Other than that, this place is highly recommended. I would go back to this hotel. It is a great choice among the whole town proper options. The airport is "walkable", maybe 10 minutes? But the cogon trikes (tuktuk) are readily available by the airport doors, and can be requested to pickup from the hotel. There is a convenience store 2 streets away, and plenty of food choices within 50 to 100 meters of the hotel. We got the family (quad) room of 2 big beds, and we're a party of 1 adults and 1 child. The room is comfortable and have the right amount of space for us three. Basic amenities are provided. The bathroom is not cramped. The air conditioning works perfect. Split type not window type, so it wasn't noisy. All the other hotels had the older, window type models that can be a bit noisy. The rooms are one flight up, stair access only. This was not a problem for us. The hotel has a simple rooftop access to stargaze or catch snaps of the Milky Way. Ate Chandra (the one in charged) is very friendly and ready to assist. The place is near the Basco Airport and accessible to the nearest convenience store where you can buy all your necessities. 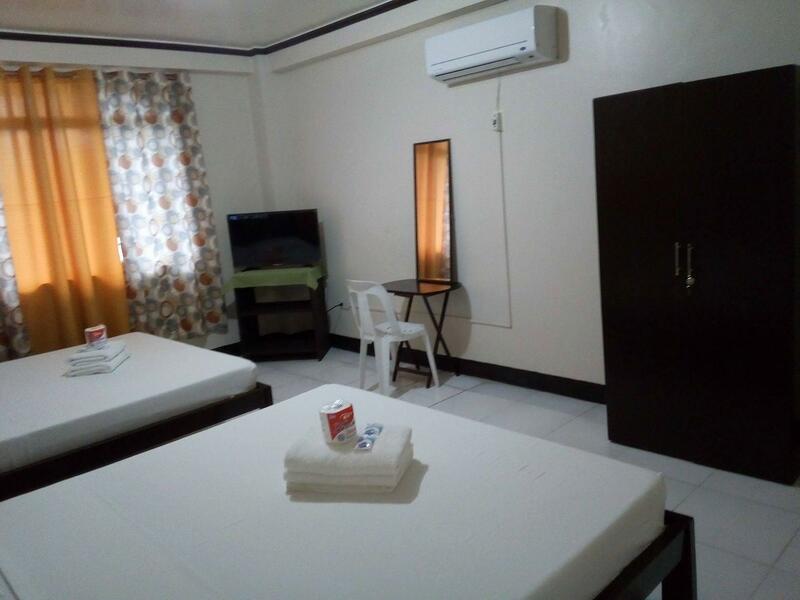 The accommodation includes free use of the kitchen wherein you can cook food and water dispenser (hot/cold) available for free. This is also meters away from the Bisumi Travel and Tour agency in case you'll avail their tour packages. DDD is known to everyone and you just need to book early to get the best room during your vacation in Batanes. Hotel is 4 streets away from Basco airport. Souvenir shops is just around the area. Hotel is strategically located near Beehan for affordable food. Ate Chandra was able to assist us in getting our tour guide which we arranged at the hotel. No available wifi in most part of Batanes. Intermittent mobile data signal for Globe network. Usually available only every morning but can no longer connect to the internet for the rest of the day. It is advisable to use Smart SIM as it has more stable signal in Batanes. Overall, a great experiece and will definitely back here. Great value for money. You can even cook your own food for free (once a day)! Our Batanes trip has been more enjoyable and comfortable because of DDD Habitat. Sabtang room is great for big groups (up to 6 pax). Just one thing, I hope they can provide a thicker blanket. I don't have any problem with the staff at all. They were all generous, warm, and very hospitable - so as all the people in Batanes! =) Got a very spacious room for a very affordable price as well! Aircon looks new, but wait. What is this? A line of ants on the wall marching towards the door. The faucet was also leaking and the shower has a wet towel to cover for the missing valve. The restroom was quite small so I had to figure out how to position myself while taking a shower. Do I sit on the bowl? Do I stand and let the water drip on the grids of the door and onto the room? Do I really need a shower? really really need it? In the end, I sat on the bowl. Overall, I'm okay with DDD Habitat. The price and staff compensates for the (almost) run down facilities. We did not like the service of the thin lady with a husband/Live in partner scheduled as caretaker in the morning. The lady in the afternoon is much better and more accommodating. Also, the owners need to update their advertisement. No airport shuttle was provided, even if it was indicated as inclusive. I was asking for the details of tour and did not get a reply which prompted me to look for another accommodation which includes tour. I remember cancelling my booking, however after a month i was billed by card services and upon checking with them , the response is they have limited internet so they did not see my email. Unable to refund as it appears we are no show. very good location, approximately 5-minute away from the airport. room size is okay, the water heater in the bathroom works perfectly fine. generally, the lodging house is clean. water dispenser is provided in the common area, you can get drinking water anytime as you please. there are also cooking and dining wares provided for free use. staff are pleasant and accommodating. DDD Habitat Lodging House was our accommodation for 7 days in Batanes. It was accessible, value for money, and clean. The facilities are basic but it was okay. Staff was friendly, too. Recommended very attentive staffs, near the airport & town. Location is good as this is near the market place hence, if you need something, it is just a few minutes away. You can cook and use their refrigerator if ever. Nothing fancy. It is clean. Comfortable bed in a small room. Cool rooftop view (from near the top of the hill that is Basco town) and friendly/helpful staff. Would return! We stayed in Siayan room that is very spacious but still under renovation/repair. Improving the toilet drain would've made the place even better. Despite the loss of internet connection due to the typhoon last year, our stay became pleasant because of the helpful staff, Chandra, who was very willing to assist us with almost everything. My friends enjoyed it more because they are fond of children so they played a lot with Chandra's child whenever we were at the inn. Well done, Chandra & DDD Habitat! Dios Mamajes! I would recommend the place for the reason that the staff is kind and helpful but maybe later when they finish the renovations they need to do. the hotel itself is a mess due to the devastation of the previous typhoons.